As African leaders publicly question their support for the International Criminal Court, a wide range of ICC supporters have rallied to its defense. Peter Dixon and Chris Tenove examine the allies and the forms of authority that the Court can turn to, using the theoretical framework they put forward in their recent paper in the International Journal of Transitional Justice. Peter Dixon is a doctoral candidate in Sociology at UC Berkeley, now studying transitional justice processes in the Democratic Republic of the Congo (and trying his hand at blogging at Beyond The Hague). Chris Tenove is a doctoral candidate in Political Science at the University of British Columbia and a semi-regular Justice in Conflict blogger. 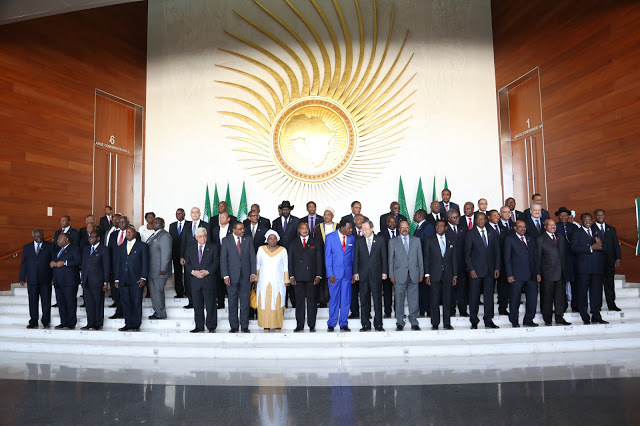 Over the next two days, representatives of African Union governments will hold an “emergency summit” in Addis Ababa to discuss the relationship between AU members and the International Criminal Court. The summit will be a critical test of the ICC’s authority. Should AU members decide to withdraw from the Rome Statute as a bloc, the Court’s ability to operate on the continent and to advance its aims will be seriously – perhaps fatally – undermined. Several commentators have considered the meeting’s significance, potential outcomes and implications (and offered their own suggestions). Here, we would like to discuss what the summit tells us generally about what international criminal justice is and how it works. In particular, we would point to claims about the ICC’s authority made by those who rally to its defense. In a recently published paper, we propose a framework explaining which actors are involved in international criminal justice (ICJ), what kinds of fundamental rules and practices motivate them and what forms of authority they wield. We think our approach sheds light on the upcoming emergency summit. Notably, while some may see gamesmanship and deal-making by international diplomats only as a threat to the ICC’s legitimacy, we argue that the Court in fact draws legitimacy from inter-state diplomacy. A critical juncture like the AU summit exposes how actors deploy this and other forms of authority to defend the Court and the broader field of ICJ. This positioning provides ICJ institutions like the Court with access to valuable forms of authority, the second component of our model. We propose that the various actors who engage with the field of ICJ try to advance their position – and advance the field of ICJ – through different claims to authority. Following the influential work of IR scholars Michael Barnett and Martha Finnemore, we identify four forms of authority, all of which we can see at play in the discussions surrounding the upcoming summit. ICJ actors draws on delegated authority because states create and authorize tribunals to act as their agents in the pursuit of particular mandates. ICJ practitioners make claims to legal authority, due to international criminal law’s overlap with public international law and domestic criminal law, as well as the legitimacy of legal norms and practices in modern societies. Practitioners draw on moral authority by proposing that ICJ addresses terrible forms of violence and suffering, and by creating and mobilizing victims of international crimes as a transnational constituency. Finally, ICJ actors advance their expert authority by claims to possess specialized knowledge. These forms of authority are important to the ICC because, lacking an army and possessing a relatively small budget, it has limited access to other “harder” forms of power. The Court’s influence is thus highly dependent on whether other actors accept the legitimacy of its claims to authority. Those who contest the ICC can do so in two ways. They can challenge the Court’s claims to possess these four forms of authority, such as when a group claims that the Court harms rather than helps victims. Those who oppose the ICC can also advance alternate forms of authority, such as when a leader argues that his role in defending the nation trumps legal rules, or when accused persons claim that fellow members of a particular group should value group solidarity over concerns about the suffering of victims or condemnation from the international community. Tawanda Hondora, the deputy director for law and policy for Amnesty International, made a series of appeals to the moral authority of the ICC, that are characteristic of human rights advocates. “Today, the AU must stand firm with the victims of human-rights violations allegedly perpetrated by their own leaders,” he proclaimed. A coalition of 163 African and international civil society organizations wrote an open letter to AU members that defended the legal and moral legitimacy of the ICC, but emphasized in particular its delegated authority. The Court, they claim, does follow the intent of its African co-creators. They point to article 4 of the AU’s Constitutive Act and note that the majority of cases were triggered by requests from African governments, and that African members on the UN Security Council voted in favour of ICC jurisdiction over Libya and Sudan. Finally, we would note that an attack on the ICC and its associated norms does not invalidate them, provided there is a sufficiently robust response. To take a different example, the recent use of chemical weapons generated such a massive and widespread reaction that the taboo against their use was reinforced and even strengthened. Similarly, the recent challenges to the ICC provide an opportunity for supporters to defend the legitimacy of the Court and the broader ICJ field by drawing creatively and strategically on delegated, legal, moral and expert authority. 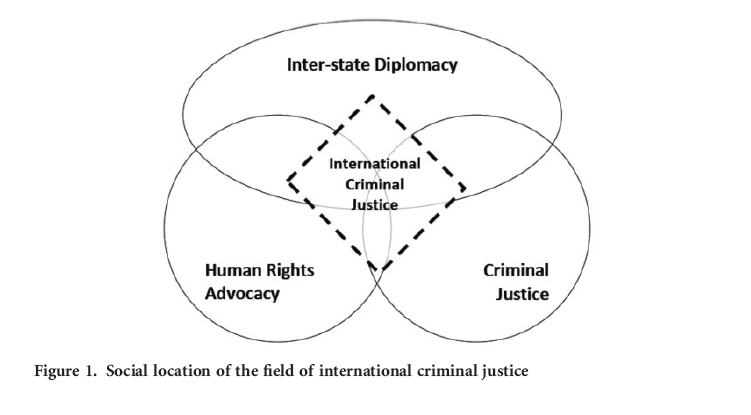 ICJ’s position at the intersection of criminal justice, human rights advocacy and inter-state diplomacy provides the Court with powerful allies. Should the arguments of the ICC’s supporters win the day, this episode may, paradoxically, reaffirm the Court’s autonomy and legitimacy. But a very different outcome is also possible. This entry was posted in African Union (AU), International Criminal Court (ICC), International Criminal Justice and tagged Chris Tenove, Peter Dixon. Bookmark the permalink. The authors miss the really interesting and challenging intersectional points, eschewing them in lieu of generalities. – One of these points is the competence conflict between African Union and Assembly of State Parties. A lot of behind-the-lines diplomacy has preceded this AU meeting, and Tiina Intelmann might have scored one major diplomatic success, in that the 5 “inimici curiae” states apparently agreed to let lapse the deadline for their announced submissions to the appeals chamber. 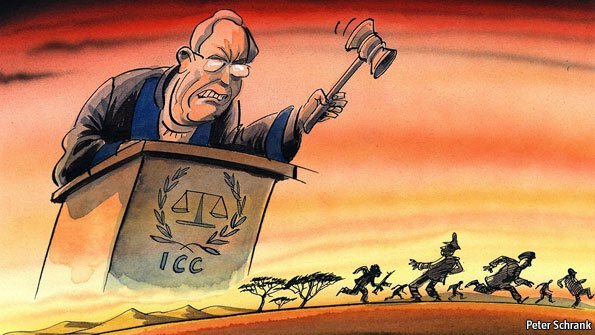 – The other point is the very very dangerous temptation for the trial judges to try do make “judicial politics” to the seeming benefit of the ICC at large. But exactly this is treacherous, because it would be the aegis of the ASP, and not of the chambers. The ASP must fght for, andf defend the court; whereas the judges only have to do their trial job as professionally and neutrally as possible. The evidently wrong and untenable Ruto decision was such a sin; the trial chamber may have agreed to assuage the AU by issuing knowingly a strikingly wrong decision, counting that it would be quashed by the appeals chamber later, at a more opportune moment. – In a similar vein, the just-issued deferral (or renvoi) of the al-Senussi case back to the Libyan national jurisdiction invites an interpretation as a “gesture of good will” toward the AU, whereby the court could be seen to seek to demonstrate some nominal lip service to African demands, while strenuously defending its sole competence for the much more important two Kenyan cases.